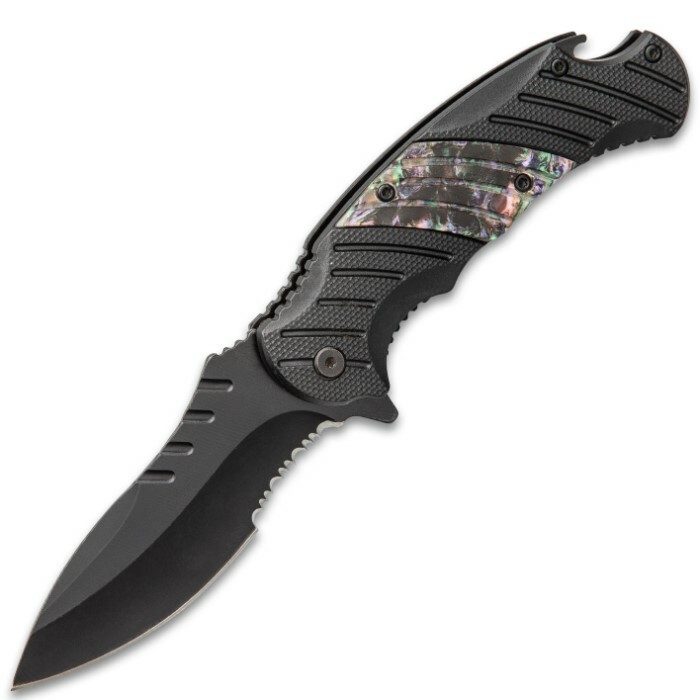 Aurora Borealis Assisted Opening Pocket Knife - Stainless Steel Blade, Non-Reflective Coating, TPU Handle, Resin Inlay Accent, Pocket Clip | BUDK.com - Knives & Swords At The Lowest Prices! 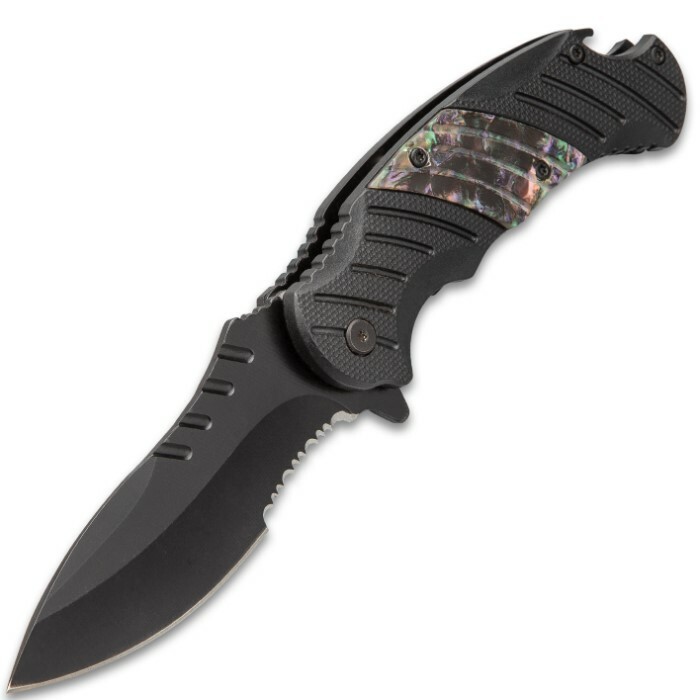 Have a sharp tactical edge under the cover of darkness with our Aurora Borealis Assisted Opening Pocket Knife. 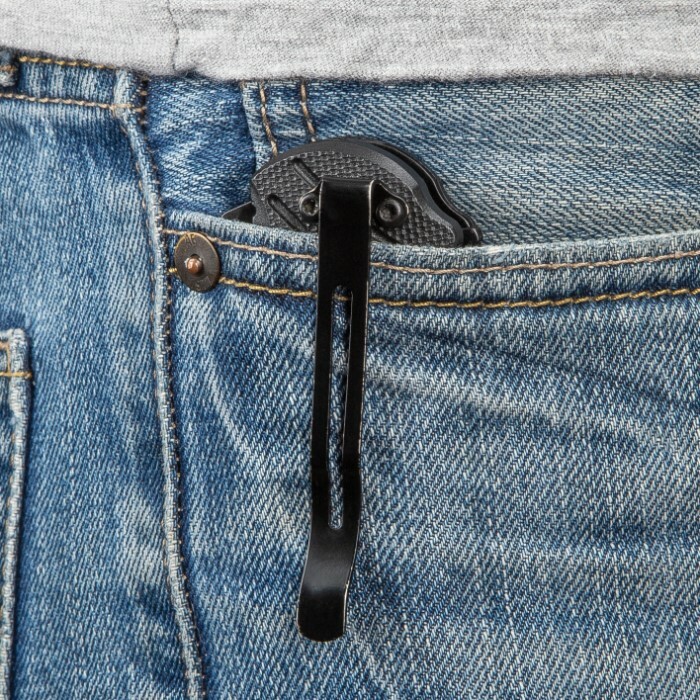 It’s ready-made for covert operations and makes a capable addition to your tactical gear. 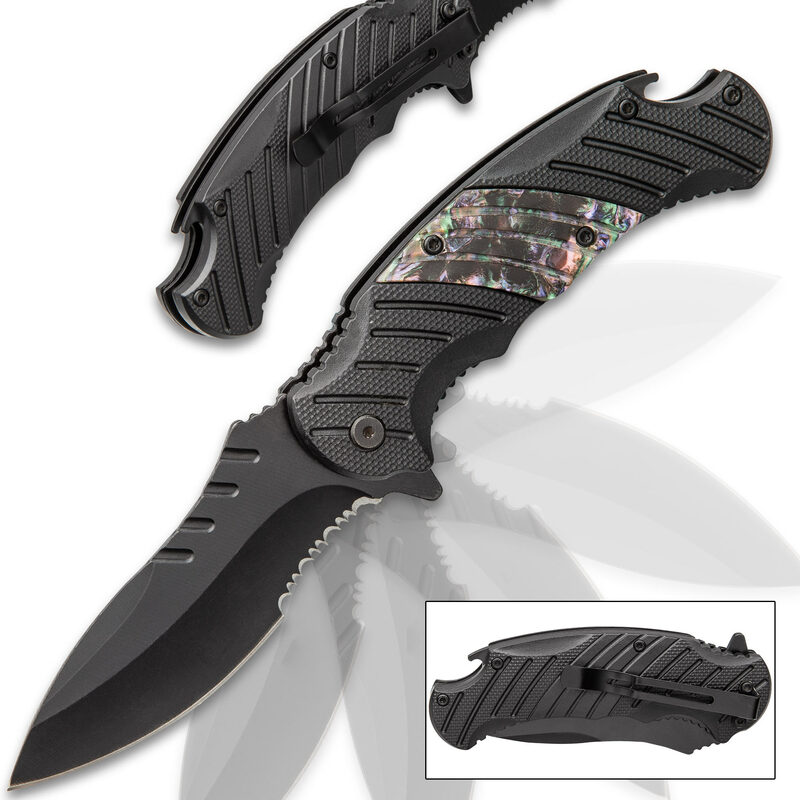 It has a 4” partially serrated, stainless steel blade with a black, non-reflective coating and spine hashes and jimping. 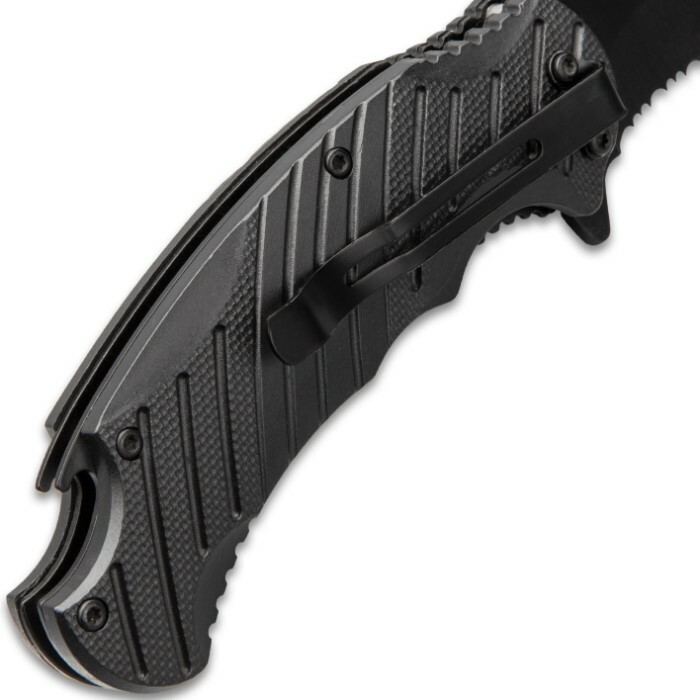 The keenly sharp blade can be quickly deployed using the flipper to activate the trigger fast assisted opening mechanism. 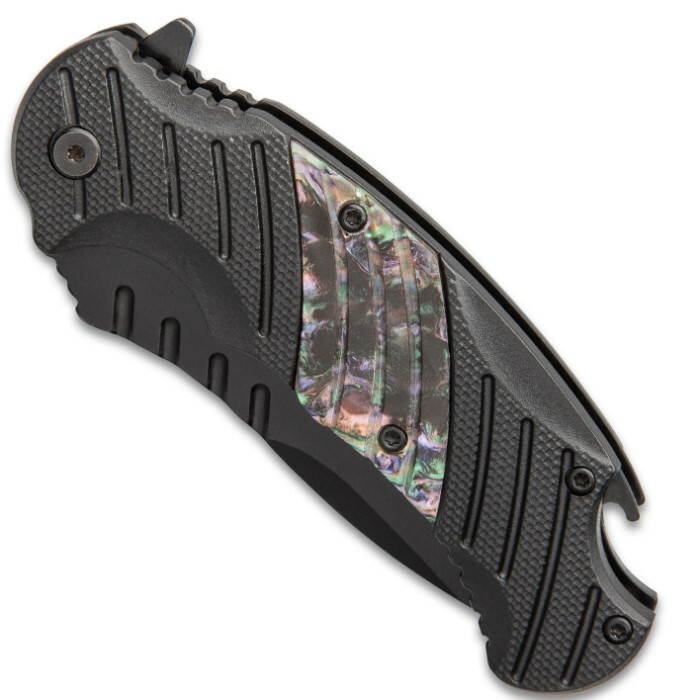 The textured and grooved handle scales are made of TPU, secured with screws, and feature a black iridescent resin inlay accent. 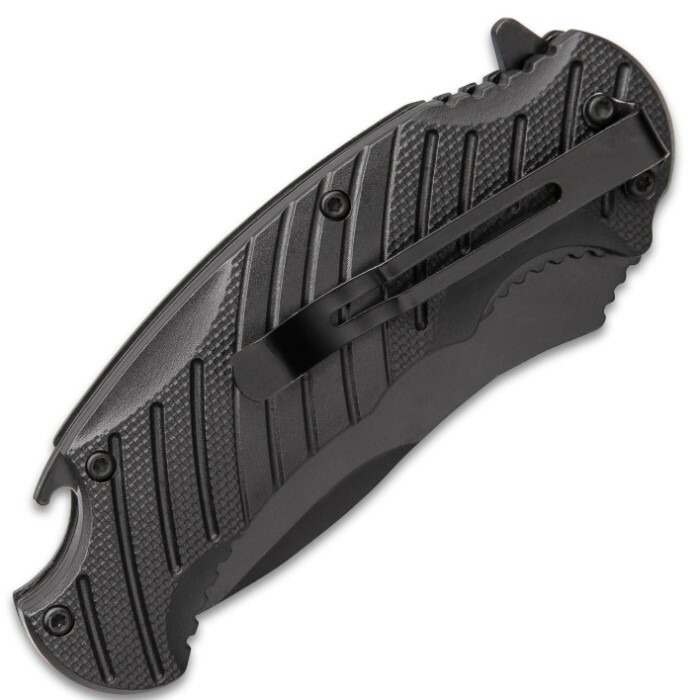 The assisted opening pocket knife has a closed length of 4 3/4” and the handle has a metal pocket clip for ease of carry.